Emilia was raised with books, quite literally. She grew up in a flat above Nightingale Books, her father's bookshop. Julius, Emilia's father, had a way of connecting with people and had a vast influence in their tiny English town. After Julius's death, Emilia takes over the bookshop, facing challenges from the get go just to keep the doors open. Along the way we see how far the members of the community will go to help Emilia and each other. I loved finding out about Emilia and Julius' back stories as well as meeting many of the local townspeople. 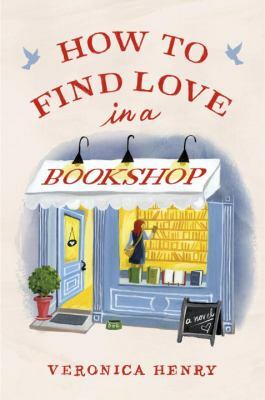 This book had a similar feel to The Bookshop on the Corner, cozy and inviting. I found myself quickly cheering on the success of Emilia and those supporting keeping the bookshop in business. This was a light, fun novel; recommended for anyone who's looking for a bookish read!